Alejandro was born and raised in Mexico City. He received a BA with honors in Archaeology from National School of Anthropology and History (ENAH). Currently he is completing an MA in Mesoamerican Studies at National Autonomous University of Mexico (UNAM). His research is focused on the interaction between the Maya and Teotihuacan, particularly at the Basin of Mexico and Southern Quintana Roo. He has carried out fieldwork in many parts of the country, mostly in West Mexico and the Maya Area. In 2014 and 2015 he collaborated in a couple of research projects at Teotihuacan, where he worked doing salvage archaeology, and in the conservation of Pre-Columbian mural paintings. He has presented papers at the International Congress of Mayanists twice, and has imparted lectures on pre-Columbian and Mesopotamian history at the National Museum of World Cultures in Mexico City. Alejandro also holds the official tour guide license for Mexico. 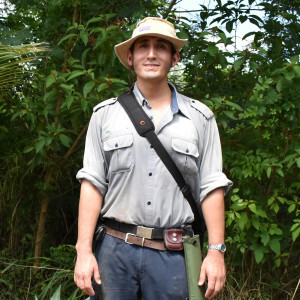 Besides his academic facet, Alejandro is a dedicated Scout leader, who enjoys the outdoors and does volunteer work with children, teenagers and young adults.